Home » Health » It's good to eat walnuts, but is it true that they prevent heart disease? On a morning when much of the world's media focused on the revelations from the Panama Papers, one British title chose to focus on a rather different story. "Walnuts prevent heart disease," declared the Daily Express in a huge, front-page headline. It might have had retirees rushing to buy them by the sackful. Based on the conference abstract alone, it's probably too early to make this sort of recommendation - the work hasn't been formally peer-reviewed and published yet, and we don't know enough about the details of the study design to know whether the results are reliable. From the abstract, it appears that 707 healthy older people - recruited at a centre in Spain and one in the US - were divided into two groups. One group supplemented their diet with walnuts, while the other (control) group continued with their normal diet, but avoided nuts (it isn't clear whether this group avoided all nuts or just walnuts). The participants in the walnut group aimed to eat enough walnuts to make up 15% of their energy intake. The researchers then measured changes in blood cholesterol, and also in body weight - since walnuts are highly calorific, those who supplemented their diet with walnuts might be expected to put on weight. The aim was to follow the groups for two years. However, the abstract presents data for only 514 participants, only one year into the study. Fifty-six people had dropped out of the study for various unspecified reasons, and a further 137 participants had not yet had the one-year assessment. We don't know why the researchers didn't wait to include these 137 participants. And we can't predict whether the early results from this subgroup are representative of the whole group, or whether there was something different about them. Also, details of how the participants were randomised into the two groups are not given, we don't know whether the characteristics of the two groups were the same at the beginning of the trial, and we don't know if the people who carried out the measurements were aware of who was allocated to each treatment. These are all possible sources of bias. Of course, just because research is supported by industry doesn't necessarily mean it's biased, but care should be taken when looking at the findings of such research and how it's presented and interpreted. Another study funded by the California Walnut Commission, published in BMJ Open Diabetes Research and Care in 2015, also looked at the effect of eating walnuts on LDL cholesterol. Participants were again randomised to groups that either included or avoided walnuts. 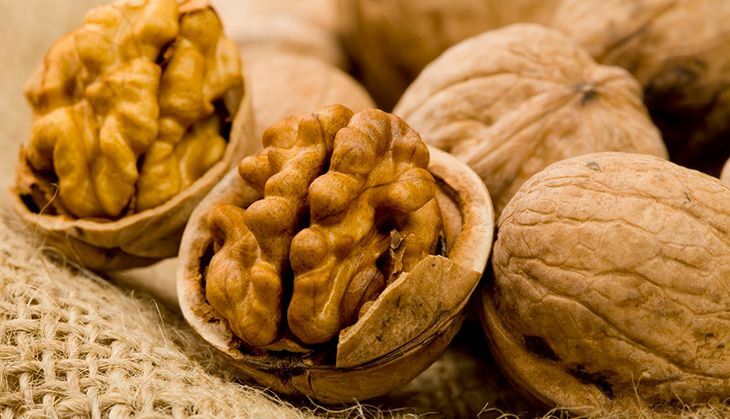 In the abstract of this published paper (often the only part picked up by the media) it was reported that the group who included walnuts in their diet showed a decrease in LDL cholesterol in the blood. This is true, but what the authors failed to mention in the abstract is that the control group - who excluded walnuts from their diet - also showed a decrease in LDL cholesterol, and there were no statistically significant differences between the walnut-included and walnut-excluded groups. So LDL cholesterol levels were lowered whether or not walnuts were consumed. Only by reading the whole research paper carefully could this be picked up, and many readers don't get further than the abstract. In spite of their high calorie count, most people don't put on weight, and some even lose weight, when consuming nuts on a daily basis. This might be due to the satiating effect of fat and protein, or perhaps we can't absorb all the fat as it's tightly stored within cells and associated with fibre that can slow down its absorption. It's too early to say whether we should trust the research presented in San Diego, but it is safe to say that nuts can be enjoyed as part of a healthy diet.